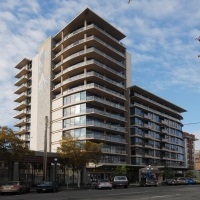 The 13-storey apartment building is comprised of reinforced concrete and steel, and provides 3 levels of underground parking. 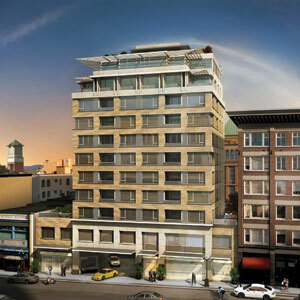 The project will created 134 modern suites for residential use with elegantly designed ground floor commercial spaces. The design of the project also incorporates unique open walkways on each floor instead of typical interior corridors. Completed in November 2014 - Having worked on a number of previous projects together, Farmer congratulates developer David Chard and the confident and experienced builder’s team including Musson Cattell Mackey Partnership and Victoria architect de Hoog and Kierulf on a project who’s modern lines complement Victoria’s historic residential James Bay neighborhood. 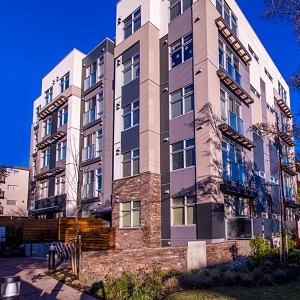 A Built Green Project, EY Properties' new head office and residential rentals Heron’s Landing and The Ardea are located at the corner of Victoria’s busy Tillicum and Burnside Roads and was completed on time and within budget. 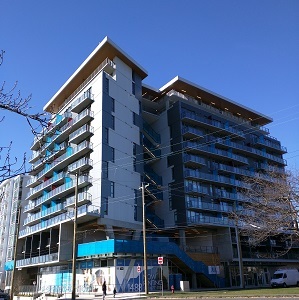 The 34-unit mid-rise residence took less than a year to construct, and was fully rented weeks before the building was completed and open for occupancy in November, 2015. Developed by Greg Abbott and managed by Devon Properties Ltd., The Chambers Building is a showcase of modern urban living and takes a custom approach to creating residential buildings for the rental market. 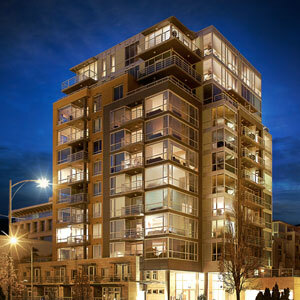 This modern boutique style residential and commercial property features an automobile elevator that descends two levels into the clay and bedrock of Victoria’s city center. As the General Contractor for this urban community project, we were excited to see its completion at the end of August 2013. 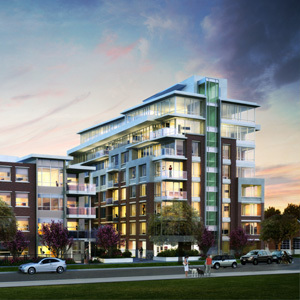 Encompassing 15 acres on the Upper Harbour in Victoria West, Dockside Green is a LEED Platinum accredited development and exceptional example of a modern, sustainable live-work-play community design model reflecting a more responsible approach to our environment. At $600M, the Dockside development marked the single largest project ever undertaken in Victoria and in keeping with the rule of sustainability the site includes its own Waste Water Tertiary Treatment Plant. Our project managers, own forces and numerous project subtrades worked hard to maintain the standards necessary to meet LEED requirements. 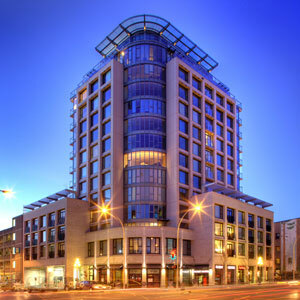 The Farmer Group of Companies invested in the Dockside community, purchasing and incorporating the Princess Mary into its new corporate office building which earned LEED Platinum accreditation on its own in 2010. The Farmer Group is currently the only construction office in Canada operating out of its own stand-alone LEED facility. 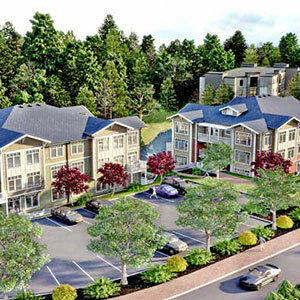 Observant of green building principles this phased development incorporates geothermal heating and cooling into their primary design and will be sensitive to surrounding wetlands, orchards and salmon bearing stream. This cast-in-place concrete structure stands 14 stories high above two levels of underground parking. 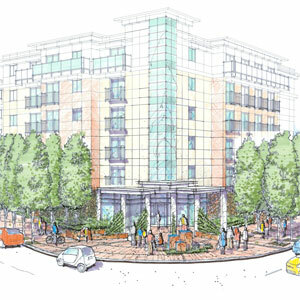 Named so because of the number of Juliet balconies, the building has been recognized to have reshaped the tiered northern downtown into an emergent urban mixed use zone. As the Construction Manager for this Chard project, Farmer was pleased to be teamed up with architect Musson Cattell Mackey Partnership, consultants Read Jones Christoffersen Ltd., Triumph Engineering Ltd., Hirshfield Williams Timmins Ltd. and RH Building Engineering Ltd. 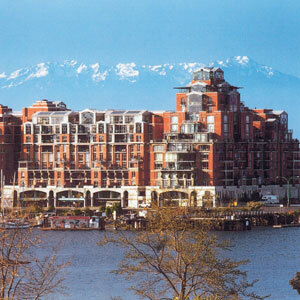 Within walking distance of downtown Victoria and steps from historic St. Ann’s Academy, Parkside’s three story glass and green rooftop atrium is now home to Victoria’s historic Crystal Gardens exotic plant collection and helps insulate the building against the chill of the winter and heat of the summer months. The project, completed in 2009, is targeting LEED Platinum status and is one of Canada’s first hotel and resort developments to have installed electric car charging terminals in the parking garage. Two concrete residential condominium towers compliment the main resort. Farmer, as the Construction Manager built this $53M project. 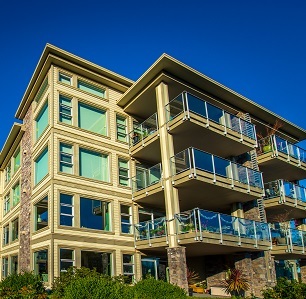 As the General Contractor for all three phases of this innovative and luxurious project the Famer Group is honored to have been involved in the construction and completion of one of Victoria’s most recognizable developments. 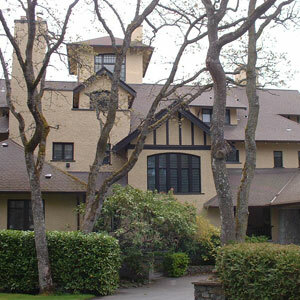 Recipient of the Canadian Home Builders Association 2002 National SAM Award, the Shoal Point development was considered the most energy efficient in North America for its project specifications and incorporated whimsical function in the application of stone gargoyles that mask ventilation outflows which can be seen steaming in cooler months when warm moist air escapes. Completed in 2006 the Wave condominium towers 13 floors above street level and was constructed using a curtain wall system cast-in-place concrete. Exterior finishes are minimal but effective and include painted concrete metal panels and masonry that in combination compliment the surrounding urban environment. As the General Contractor for Legacy Construction and Company, Farmer was pleased to bring this project in on time and budget. 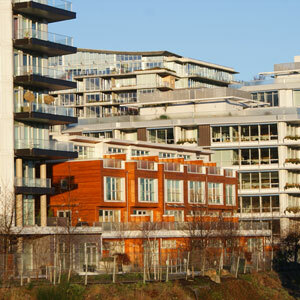 At twelve stories, the Corazon and Chard Developments handily revitalized Victoria’s downtown city community. 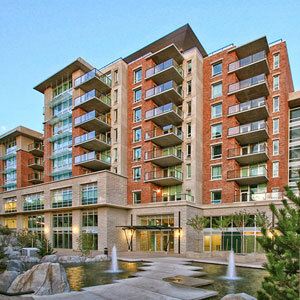 It is a 78 unit concrete and structural steel building that has been considered a worthy example of urban residential architecture for its setting. 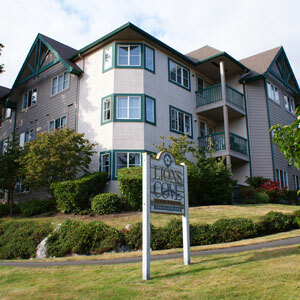 Currently operated by the Vancouver Island Health Authority, Lions Cove was a multi-unit wood frame project developed as and still operated as a seniors housing complex. Farmer acted as the Construction Manager and General Contractor completing the build on time and under budget, a pleasant surprise for owner Harlo Homes Ltd.